Actually I have been thinking about this question for a long time and I am not sure who I would pick. 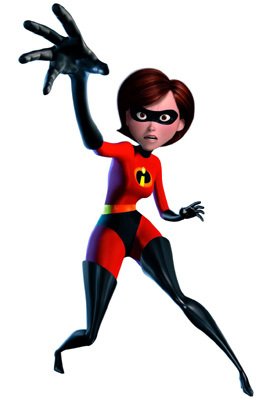 After much thought and debate the only one I can come up with is Helen Parr or Elastigirl from the Incredibles. I love her because she is who I want to be in life.